First, sorry for not blogging. No I did not run a way to a hermitage, although I lived like a hermit for several days (I’ll explain in a later post). I just needed to take a break from the wild wild web. 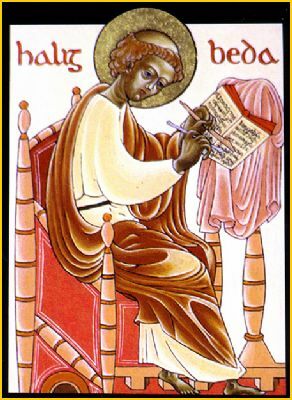 St. Bede was born in England. A Benedictine, he was “the most observant and the happiest of all monks.” His writings were so full of sound doctrine that he was called “Venerable” while still alive. He wrote commentaries on Holy Scripture and treatises on theology and history. He died at Jarrow, England. St. Gregory VII was a monk of Cluny. Before ascending to the papacy, he fought against the abuse of lay investiture, the source of the evils from which the Church was suffering. His energetic stance as Pope Gregory VII earned for him the enmity of the Emperor Henry IV. He was exiled to Salerno where he died. Scroll down for video. 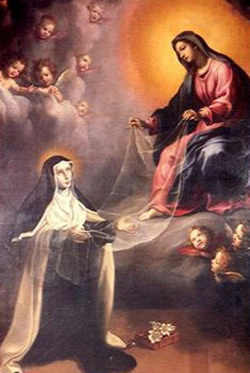 St. Mary Magdalene de Pazzi was born in Florence and joined the Carmelites when she was nineteen. She practiced great mortification for the salvation of sinners; her constant exclamation was, ‘To suffer, not to die!’ With apostolic zeal, she urged the renewal of the entire ecclesiastical community. This entry was posted in Catholic Church, Saints and tagged St. Gregory, St. Mary Magdalene de Pazzi, St.Bede. Bookmark the permalink. remedy spam? I’m wanting to invest just for tips in order to control it!